Published on 4 March 2017. Booker Prize winner The Sellout, by Paul Beatty, opened with a black man brought before the Supreme Court accused of reinstating slavery. Flashbacks told of the narrator’s strange childhood as a subject of his father’s socio-racial experiments, and connected these to the narrator’s later work to reintroduce racial segregation. Despite the subject matter, this was a funny book. Beatty skewered racial stereotypes and political correctness, but did so in a way that made me reflect and realise how little I understand of the world, and how much my own prejudices affect my thinking. I found the experience of reading this a little exhausting: Beatty rarely paused for breath, and I found myself getting lost in some of the sub-sub-plots. But nevertheless, this was a memorable read. In Susan Hill’s celebrated The Woman in Black, a young solicitor travelled out to a small English town to set in order the affairs of a recently deceased elderly lady who lived in an old house on a causeway, regularly cut off by the tide. Some spooky stuff happens. I’m rarely gripped by horror novels, and this was no exception. The tale was entertaining enough, but this wasn’t really a page-turner. This seemed to me to be a ‘ghost story’ in the classical sense: designed to scare, without much more to say. Since I rarely find myself involved enough by tales of ghoulish things to become scared, there wasn’t really a lot for me in this book, save for the enjoyably tight, precise style of writing. 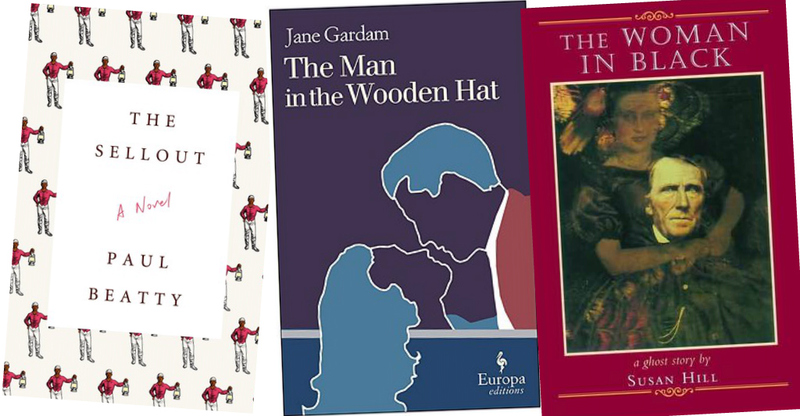 Jane Gardham’s The Man in the Wooden Hat was the sequel to Old Filth, which I read last year. Old Filth was a fictional biography of Sir Edward Feathers. The Man in the Wooden Hat was the story of Feathers’s marriage, told largely from the point of view of his wife. It had much the same overarching theme, exploring the tensions and excitement that lie behind a “bland” exterior of socially acceptable relationship in the upper classes in the mid-1900s. I have to admit that I didn’t find this quite as engaging as the first volume, possibly because the story behind relationships is a much more commonly visited literary theme than the story behind a professional exterior. But this was still suffused with Gardham’s gentle humour and fantastic writing, so it was still an enjoyable read. This 2,315th post was filed under: What I've Been Reading.